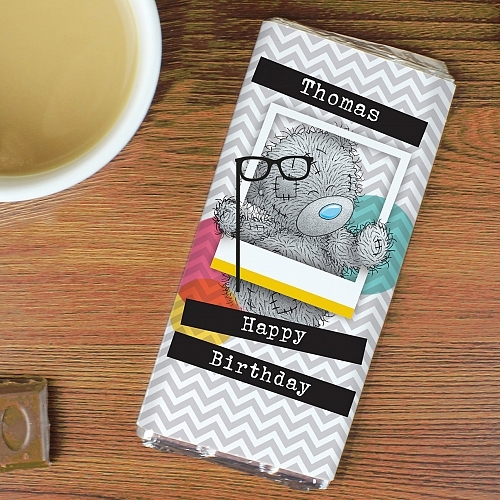 Personalise this Me to You Trendy Chocolates bar with a message on the front over 3 lines of 10 characters per line. The back of the bar can be personalised with a message over 4 lines of 20 characters per line. All text will appear as entered.Please refain from using all upper case.What's more our great value Chocolates includes free standard delivery and are available on next day.Milk Chocolates Bar15cm x 7cm x 1cmWeight 100gMay contain traces of nutsPerfect for Teenagers, Birthday, Thank You, Christmas.